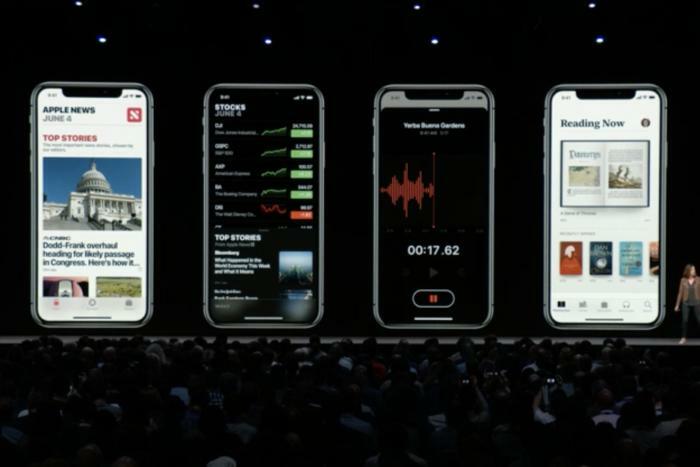 iOS 12 delivers faster performance for older phones, big notifications improvements, Screen Time, Siri Shortcuts, and a lot more. 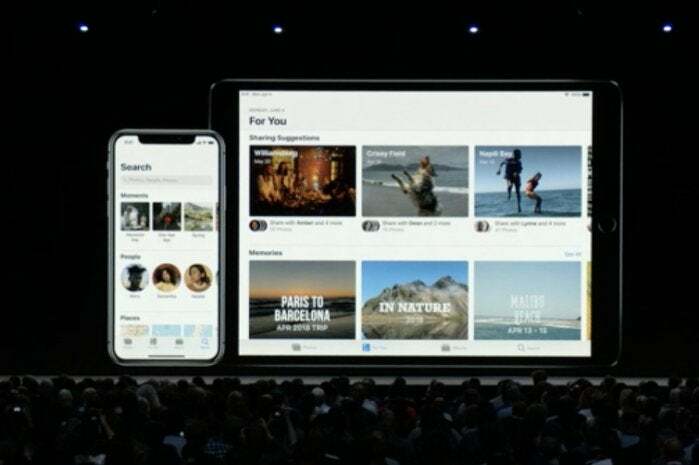 iOS 12 is coming this fall with lots of new features, but these are the ones we’re most excited about. Which devices support iOS 12? Apple both sets trends and chases them, and iOS 12, unveiled in June at WWDC, is no exception. With this release, Apple is focusing on performance improvements and enhancements, even for older devices. 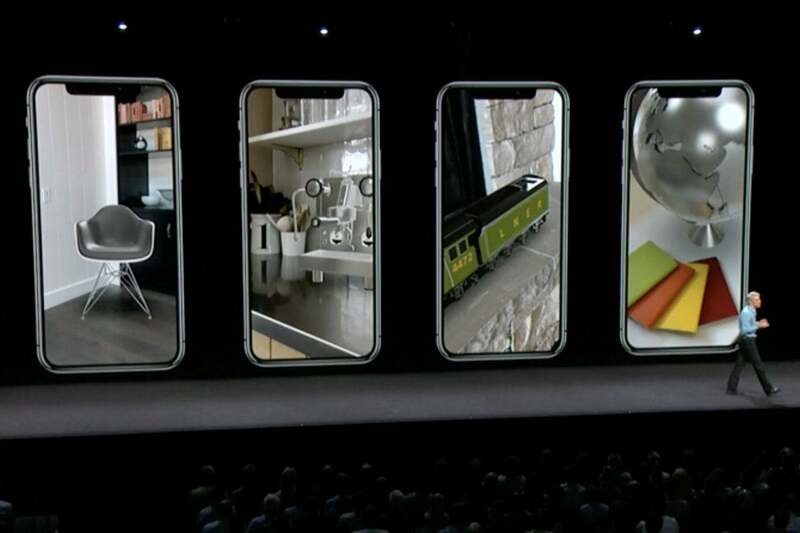 The company is also making important changes to augmented reality that will enable new experiences; improving Siri, FaceTime, and the Photos app to catch up to the competition; and adding new features like personalized Memoji and a Screen Time features to manage how you’re using your device. iOS 12 is a free update for all users, and it’s supported by every device that runs iOS 11, all the way back to the iPhone 5s released in 2013. Here’s a rundown of the biggest improvements and most common questions about iOS 12.
iOS 12 is now available. Make sure you grab the Shortcuts app as well—it's not included as part of iOS 12, but it's one of the best features of this release. If your device runs iOS 11, it will run iOS 12. Apple even promises better speed and performance on older devices. If you have an iPhone 6, for example, you can expect much faster app launch times, snappier multitasking, smoother scrolling, and the keyboard and share menu should both pop up a lot faster. In addition, iOS 12 is supported on the 6th generation iPod Touch. The easiest way to update is to simply do it on your device. You’ll get a notification when iOS 12 is available, but that sometimes takes a little while. If you’re impatient, you can check manually by going to Settings > General > Software Update. The update is typically available around 10:00am Pacific time on release day. If you want to use iTunes, plug in your device, select it, then select Summary in the left pane and click the Check for Updates button. If an update is available, you’ll receive a prompt to download it, so press “Download and Update” to proceed. Looking for a really fresh start? Back up your iPhone and then erase it. Our guide here will show you how. Despite being what some have called a “maintenance release” due to all the work on performance and reliability for older devices, iOS 12 really does have a whole lot of new features. There are too many individual features to list them all here, but these are the big areas of improvement. 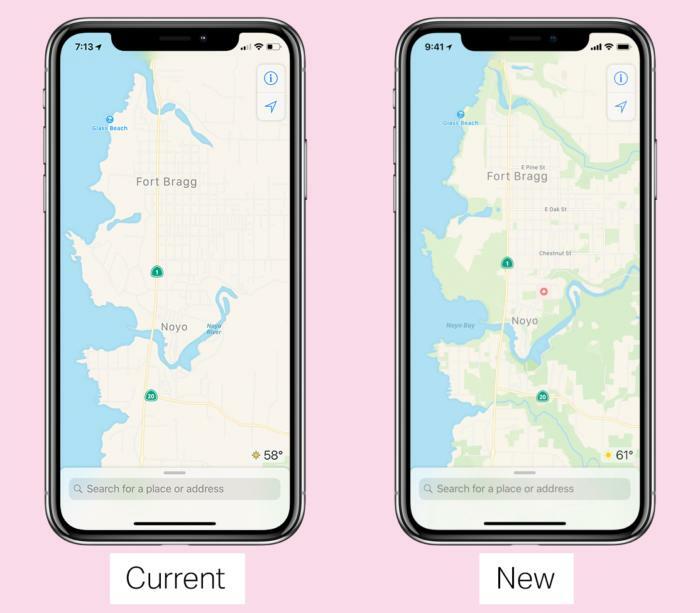 Though not announced at WWDC with the rest of the iOS 12 features, Apple’s new mobile OS brings big improvements to Apple Maps. Apple has spent years working on a massive project to replace all its third-party map data with its own super high-resolution data, together with tools to make map changes much more quickly and features to incorporate completely anonymous data from millions of iPhone users. These Maps changes will roll out first to the San Francisco Bay area with iOS 12 beta 3, and expand to Northern California this fall and then other regions over the following year. Therefore, many of you won’t see these dramatic improvements right when you update to iOS 12, but you’ll eventually see a sudden and massive improvement to your local Maps experience. Apple created a brand-new file format with Pixar called USDZ that will enable easier sharing of the 3D graphics and animations used in augmented reality apps. Developers and users can share these USDZ files like any other files: Store them in the Files app, send them in Messages and Mail. When you receive a USDZ file, you can open it and place the 3D object in the real world. For example, if a publisher places a USDZ image into an article in the News app, readers can tap it to open it in a fully interactive AR view, right inside News. 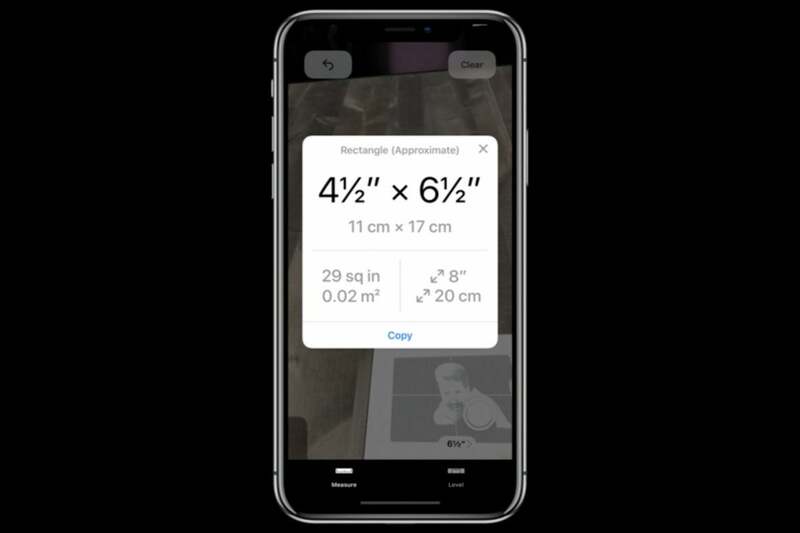 Users can also try the all-new Measure app to measure the dimensions of physical objects using AR. You just trace the sides of an object to find out how long they are. It can also detect rectangles automatically and tell you the dimensions and area. 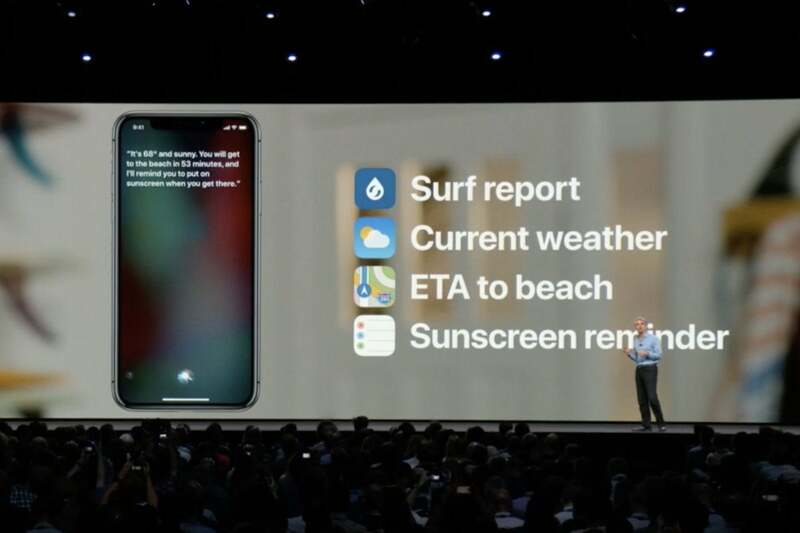 With Siri Shortcuts, any app can expose quick actions to Siri. As an example, consider the Tile app, which you have to launch when you want to locate your Tile tracker. Now the Tile app can suggest a Siri Shortcut to locate your tracker, and you can set a custom Siri command, like “I lost my keys.” Now when you tell Siri that phrase, a card launches with that screen in Tile, and you can see where the tracker is, and interact with the card, without even having to open the full app unless you want to. You could set an Instacart shortcut to “order my groceries” or say “help me relax” to launch your favorite meditation app. Siri Suggestions are also improved in iOS 12 to anticipate your next actions based on your history. The suggestions can now appear on your lock screen and notifications screen, and you can tap one to take care of that action without having to launch an app. It can suggest you call relatives on their birthdays. If you’re late to a meeting, it can prewrite a text to the organizer to let them know, or call into the meeting if a call-in number was provided in the invite. 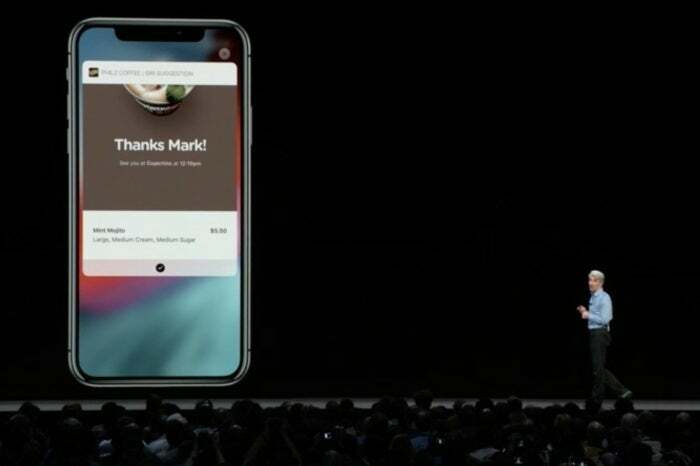 If you order a coffee with the same app every morning, a Siri Suggestion might pop up to let you order your usual with one tap. 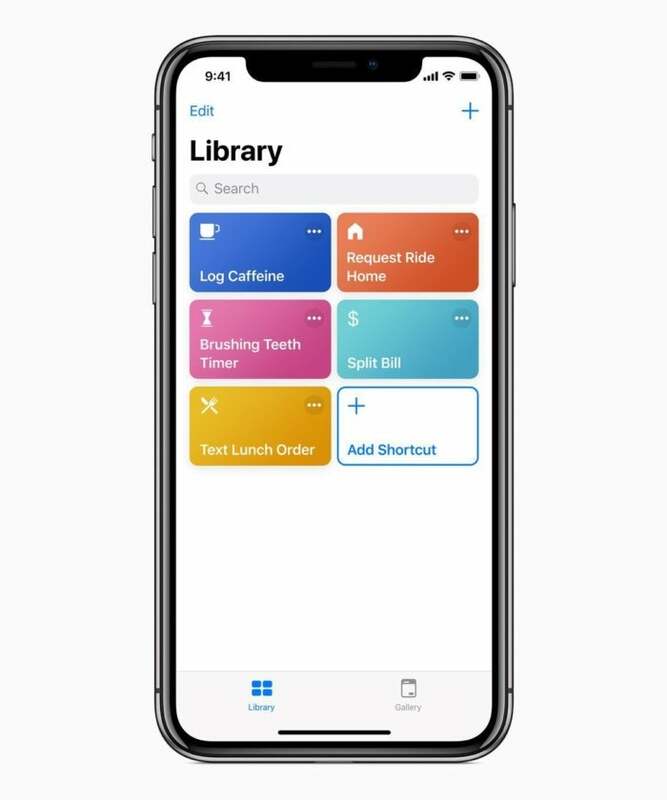 The Shortcuts app has a gallery full of premade shortcuts, as well as a library you can search. Routines can combine services like texting, mapping, HomeKit, music, you name it. You can search for items to add, or the app can suggest them to you based on machine learning. 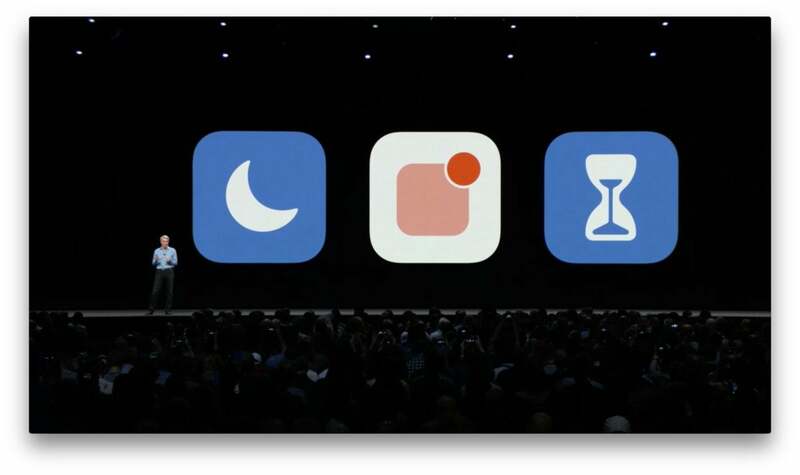 In WWDC on-stage demo of setting up a “heading home” routine for an evening commute, the app suggested launching the KQED app to play some NPR, because that’s what the user usually did at that time of day. 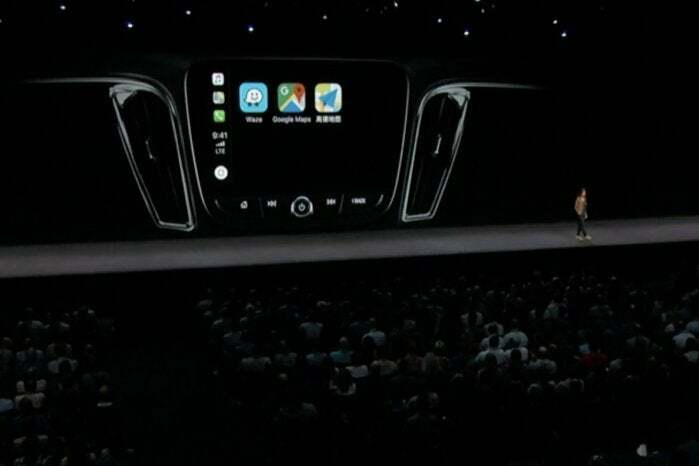 That means you can get turn-by-turn directions from your preferred mapping app, but it won't just automatically become available as soon as you upgrade to iOS 12. The mapping apps need to update their apps to add support, too. Apple’s improving the Do Not Disturb feature in iOS 12. If you go to check the time at night, for example, Bedtime Mode can just show you the time on a dark lock screen, saving the notifications for later. In the morning, it even eases you in, with a lock screen that says good morning and shows the time and temperature until you tap it again to indicate you’re ready for the full deluge of notifications. Screen Time makes it easy to monitor and manage phone and tablet usage, either for yourself or your kids. 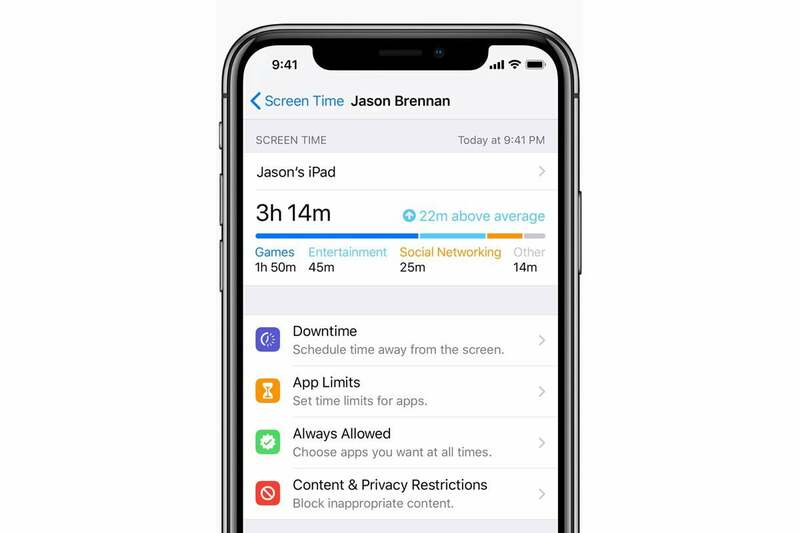 iOS 12’s new Screen Time feature will send users weekly reports about how they’re using their devices, including how many times you looked at your phone throughout the day, which app pulled you in each time, and even which apps send you the most notifications. You’ll be able to see how often you use your apps, and at which times of day. If any of this data concerns you, you can set Time Limits for yourself. iOS 12 smartly groups your notifications and gives you easier control over which ones appear, and how. Finally, your extensive list of notifications will be more organized. 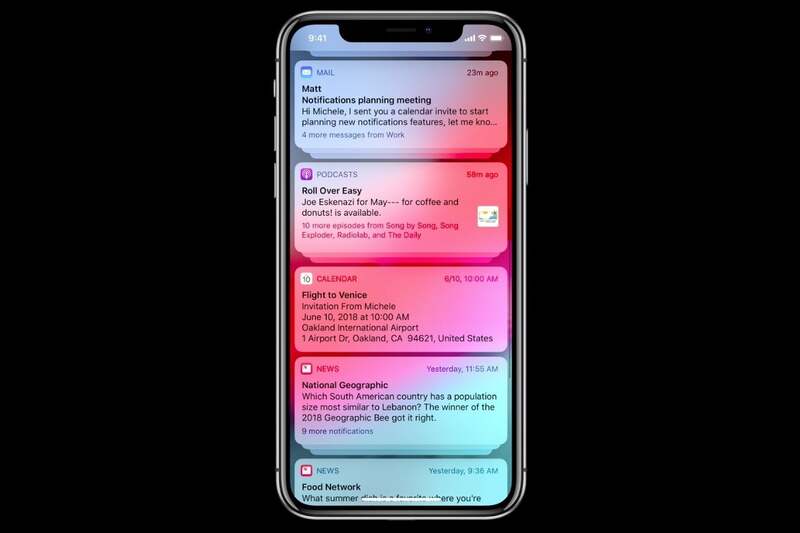 iOS 12 supports grouping of notifications by type, topic, and thread. You can tap a group to expand it, or even swipe a group to dismiss the whole thing at once. It’s much easier to tweak how an app notifies you in iOS 12, too. Until now, you’ve had to dig into the Notification section of the Settings app and then find the app you want to change in a huge list. It was frankly just easier to delete an app that sent annoying notifications than it was to go in and turn them off or edit their behavior.